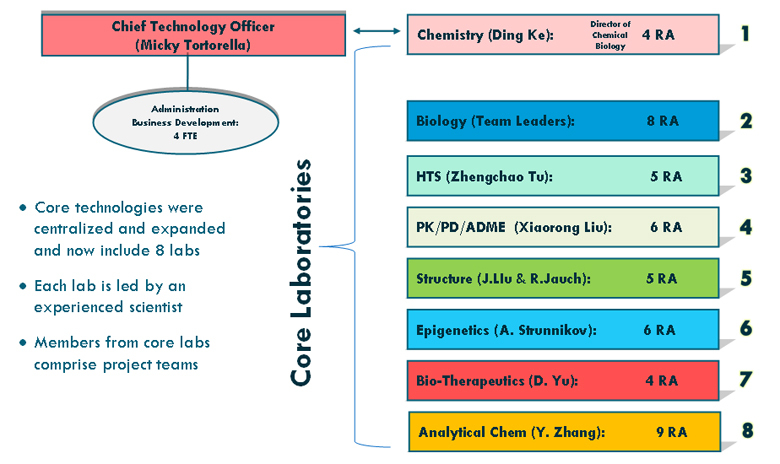 The Drug Discovery Pipeline (DDP) was established in 2009 at the Guangzhou Institutes of Biomedicine and Health (GIBH). The mission of the DDP is to capture the best ideas cultivated within GIBH and to translate those ideas into drug discovery projects. Prior to the creation of the DDP, there was no mechanism in place to transform basic concepts into viable discovery programs. However, after its formation, GIBH now has the required expertise, core technologies, structure and integration of disciplines to enable effective drug discovery research. This model is unique to GIBH and not found at other institutes within Chinese Academy of Sciences. Since its inception the DDP has achieved seven important milestones, which include: (1) Formation and integration of project teams to enable the advancement of drugs; (2) Centralization of core technology groups to support drug development; (3) Development of a sustainable pipeline of projects with novel intellectual property (IP); (4) Establishment of key international partnership for the co-development of drugs; (5) Recruitment of international experts with discovery experience to enable effective drug discovery science at GIBH; (6) Provision of technical services and internal expertise to local universities and companies in Southern China and (7) Licensing of intellectual property and drugsmatured in the DDP to pharmaceutical companies in Guangzhou for advanced clinical development. An 8th milestone, which includes advancing a new drug candidate into clinical trials, is expected to be achieved in 2014/15. To compliment the ongoing drug research at GIBH, the Pipeline is actively pursuing innovative strategies to enhance discovery. One such approach is the development of biomarkers. 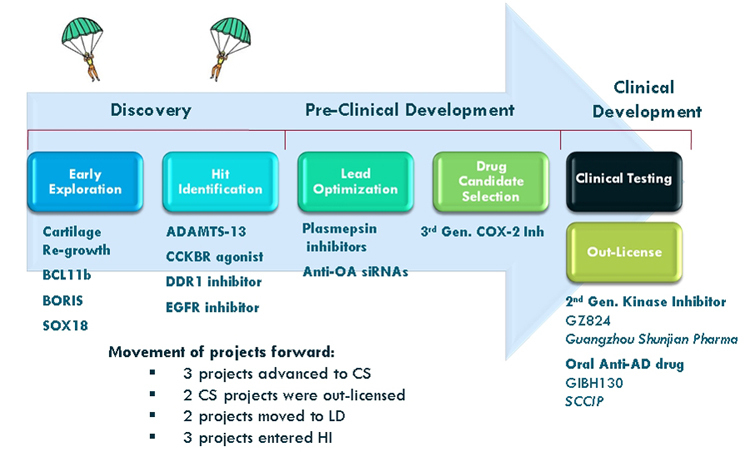 Target based biomarkers have been identified and validated for several of the projects currently in our portfolio and are being used to confirm the pharmaco-dynamics of our lead molecules including: (1) Exposure at the target site of action; (2) Binding to the pharmacological target; and (3) Expression of pharmacology. This biomarker effort will give the Pipeline at GIBH a competitive advantage over its rivals as it will allow our team to make earlier decisions regarding compound safety and efficacy during both preclinical and clinical evaluation. In order to enhance this biomarker effort we have formed a key partnership with Plexera, Inc. (Chinese based company in Beijing) to develop novel, first of a kind, biomarker chips containing several hundred antibodies for rapid and comprehensive analysis of numerous markers in tissue fluid. If successful this will create a new paradigm in biomarker research as it will allow clinicians to analyze an entire panel of relevant as well as exploratory disease-based biomarkers in a single assay. Another tactic for bringing innovation to the Pipeline is through a partnership with the Stem Cell Department at GIBH. 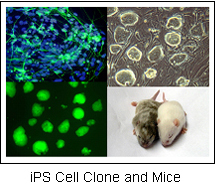 The goal is to utilize induced pluripotent stem cells (iPSC) for pathway mapping and new target identification for diseases that are specifically linked to known genetic mutations. If successful, this strategy will likely identify new targets for many different diseases such as diabetes, cancer, muscular skeletal and neurological disorders. Sigma, Inc., a USA based company has funded a spin-off company with GIBH, to conduct such research by creating iPSC lines for hundreds of different diseases. In addition to drug development, a key mission of the Pipeline is to create spin-off companies based on intellectual property cultivated in the GIBH Pipeline. This will serve several purposes. 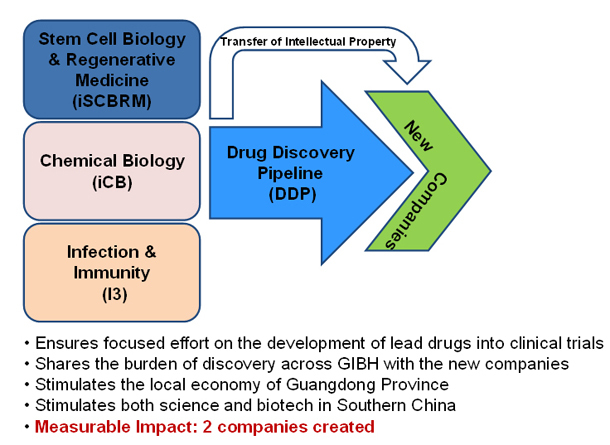 First, it will ensure a focused effort on the development of the lead drug into clinical trials; second, it will share the burden of drug discovery across GIBH and the new companies it creates; and third, stimulate the local economy in Guangzhou by employing people and investing in the local community. 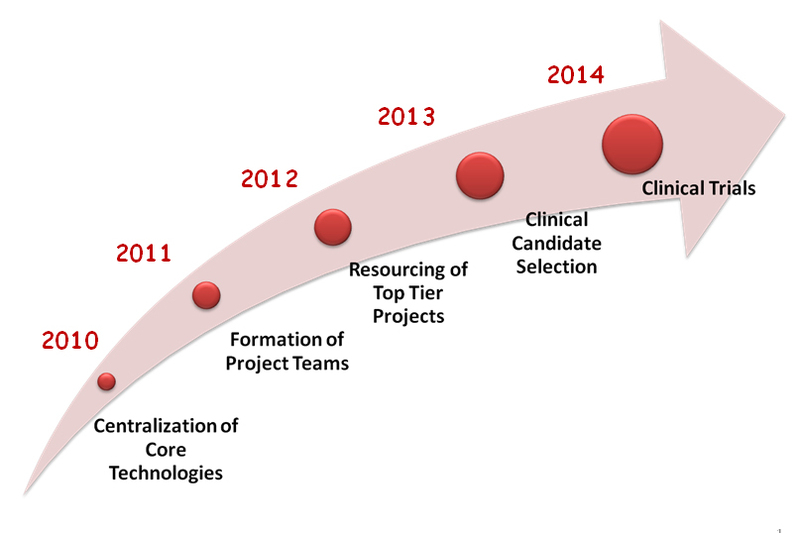 Currently the Pipeline has created two companies in 2010 based on IP/technology discovered and developed at GIBH including: Company 1, a stem cell based company funded by the USA Corporation Sigma and Company 2, is focused on siRNA therapeutics sponsored by a combination of government and private investment firms. Establishment of these local satellite companies will increase the scientific excellence within the city of Guangzhou and spur regional growth in the area of biotechnology.